PROFESSIONAL DOCUMENT TRANSLATION WITH THE BEST RATE GUARANTEE! This webpage will assist you in English to Spanish translation of any texts, be it informal casual phrases or professional documents. To informally translate English to Spanish, a simple English to Spanish translator is provided on the page. The user adds the English text in the box given and then the ‘Translate’ button next to the box is clicked which generates the English to Spanish translation of the text. Moreover, this tool of English to Spanish translator is totally free, yet it cannot be used for professional needs of English to Spanish translation. For professional English to Spanish translation, we are also at your disposal with our qualified native translators, who will do the translation for a nominal fee. The end work will be error-free and will be accomplished in a short time. Spanish is the part of the Romance group of languages. It is among the top five spoken languages in the world. There are an estimated 450 million native speakers of the language all across the world. Another 100 million speak Spanish as a second language. It originated in the Castile region of Spain and is therefore also known as castellano or Castilian. 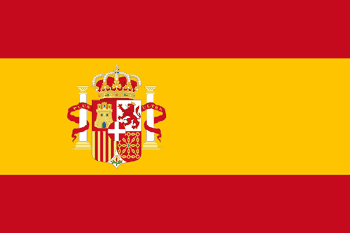 It is also popularly known as español. .
Spanish is the national language of Spain. It is one of the six official languages of United Nations. Due to colonisation of many parts of the Americas, Philippines, Africa, and some parts of Oceania in the 16th century, the language has been adopted in many other areas of the world. It is one of the main languages of South America where it takes second place after the Portuguese language in terms of speakers. Many South American countries such as Argentina, Bolivia, Panama, Colombia, Peru, Paraguay, Chile, Guatemala, Nicaragua, Costa Rica, Honduras, Venezuela, Uruguay, Cuba, Mexico, and Puerto Rico have Spanish as their official language. However, the Spanish spoken in the various areas differs from each other dialectically. Apart from these, Equatorial Guinea and Philippines too have it as their official language. The Spanish language shows a lot of impact of Latin. Moreover, many words from Arabic, Italian, and French too have been absorbed by the language. Lately, a number of English words have found their way into the language as well. The Latin influence on Spanish is evident from the fact that it is written in the Latin script. The alphabet of the language is called the abecedario and has 27 letters and two digraphs. Leaving aside the foreign words that have crept into and been absorbed by the language, the original Spanish is easy to spell. This is because it is written as it is spoken, being inherently phonetic in nature. The language uses inverted exclamation mark and question mark (¡ and ¿) and ñ unlike all other languages. The languages is governed by the rules set up by Real Academia Española. This academy also has the responsibility of compiling and bringing out Spanish language dictionaries. .
Spanish is written in the Latin script and its alphabet, called the abecedario, consists of 27 letters and 2 digraphs. It is quite phonemic in nature and thus easy to spell, relatively speaking. If one is aware of the right way of pronouncing a Spanish word, it can be spelt correctly. Of course this is not applicable to the foreign words that have been imbibed by the language later. What is unique about Spanish is the use of the inverted exclamation and question mark (¡ and ¿) and ñ. The latter has been adopted by some other languages too now. These changes were brought about by Real Academia Española that sets the rules for Spanish grammar usage and brings out dictionaries.